Crafting Adventures: Whimsy Sneak Peeks! 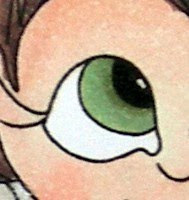 Just a quick little teaser post from me today...... just to whip you up in to a frenzy about tomorrows Whimsy Magical Mythical Tour blog hop! Whimsy are releasing a new series of fun stamps and 3 new sentiments sets which you are going to LOVE. And just to whet your appetite, here is a little peek of what you can expect to find on my blog tomorrow.......! How could you resist a set of eyes like that?! Make sure you drop back tomorrow around 5pm (GMT) to join in all the blog hop fun!